In young people, sun exposure can produce a gentle, healthy “glow.” In fact, the darkening of skin due to sun exposure is the result of increased production of melanin, a natural pigment that absorbs and dissipates UV radiation in order to protect the skin. It makes the skin look darker and suntanned. However, uneven melanin production can cause some areas of the skin to darken more than others, and, over time, repeated sun damage stretches the blood vessels in the skin, making it look mottled and darker. Acne and other skin damage and inflammations can result in lasting areas of darker skin. When the skin is damaged, the tissues and cells quickly work to heal the damage and repair the skin. However, this rush of new tissues and skin activity in one specific area can mean that the new skin is formed without the regular, even lattice structure of the undamaged skin. This can result in skin tissues that are raised or recessed, and an overproduction if melanin in the new skin, leaving permanent traces of acne, injury, or inflammation. Melasma is a skin condition characterized by patches of brown or grey skin, usually on the face. Melasma is very rare in men, is more common in women of color, and is more common in those who have a close relative who also had melasma. It can often be caused by hormonal changes in pregnancy, or by accumulated sun damage. It can sometimes be exacerbated by skin care products and regimens that irritate the skin. Also known as “age spots,” liver spots are the freckle’s ugly cousin. Like freckles, they are usually flat, brown, harmless spots. They are very common in older skin, especially on parts of the body that experience a lot of sun exposure, like the face, upper chest, and hands. Generally speaking, dark circles around or under the eyes are due to the fact that the eye skin is delicate. This means that when we have reduced blood flow to the face, as when we are sick or fatigued, or simply with aging, the eye skin becomes more translucent and allows the blue veins beneath to show through, darkening the area beneath and around the eye. Over time, some parts of the body seem to darken more than others. Parts of the body that have deep folds and creases, where the skin rubs against itself, can often darken and thicken over time. It is more common in parts of the body where we practice hair removal, such as the armpits and bikini area. Collectively, these kinds of dark spots and discolorations are known as hyperpigmentation, to distinguish dark patches, spots, and areas of the skin, from the overall color and tone of the skin. And, as we can see, almost all of them are caused or exacerbated by aging skin, and the changes that skin experiences over time. This is why lightening and brightening the skin can so often be an important aspect of fighting the signs of aging. Currently, hydroquinone is legal to sell to consumers without a prescription in a 2% concentration. It can be prescribed by a physician in a 4% concentration. It is an effective skin lightening agent, because it reduces the skin’s ability to produce melanin. Instead of bleaching the skin with harsh ingredients, it simply reduces your natural ability to produce melanin, and the skin lightens over time as it naturally renews itself. Hydroquinone was labeled “safe” by the US FDA from 1982 through 2006, when the FDA announced that it is a potential carcinogen and may cause cancer. Taken orally, it is associated with a medical condition called ochronosis, which makes the skin thick and dark, and some studies have shown an association with hydroquinone and elevated mercury levels. For that reason, it is banned in Japan, Australia, and the European Union. While the FDA is still considering its final position on hydroquinone, it remains a legal drug, but should be used with caution. Some people are sensitive to hydroquinone, so it is always smart to do an allergy/patch test before using it. Apply a small amount of the product to the inside of your arm, and wait 24 hours to determine if you will have an adverse reaction. While there aren’t any known systemic reactions to hydroquinone, it is best to use it only on specific, hyperpigmented areas, rather than using it on the entire body. Since your skin has a reduced ability to protect itself with melanin, hydroquinone should always be used with sunscreen, and reapply sunscreen during long exposure. This is just a general precaution, since drugs can be transmitted from mother to child during pregnancy and breastfeeding, and extra care should be taken during this time. Some people love it because it works to lighten and brighten skin, and some people feel that it isn’t worth the medical risk. It’s important to be informed and make the right decision for your needs. 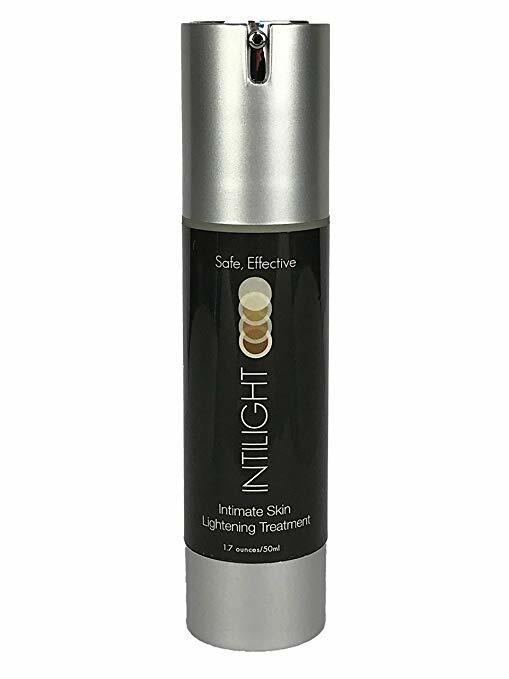 The Intilight Skin Lightening & Bleaching Cream has advanced skin lightening and brightening for all skin types and conditions. It brightens, repairs, and protects skin, and can be used to lighten even your most sensitive skin. It works to fade and lighten dark spots, age spots, skin discoloration and unevenness, hyperpigmentation, melasma, sun spots, freckles, and even acne scars. It is gentle enough to be used by men and women to lighten the skin all over the body, including the delicate genital area. It contains jojoba seed oil, apricot kernel oil, squalene, hyaluronic acid, and the highest concentration of hydroquinone available without a prescription (2%). The formula is creamy and odorless, containing no harsh chemicals, no perfumes, and no parabens. These ingredients soothe and repair skin, while suppressing melanin production, to lighten areas of hyperpigmentation and prevent new skin discoloration. Over 6-8 weeks of use, skin can be lightened up to 3 shades. It was developed by a board certified dermatologist, and has a 60-day risk-free money back guarantee. Because the Intilight Skin Lightening & Bleaching Cream works gradually and only where it is applied, it’s ideal for treating dark areas under the eyes, in the armpits, and other sensitive areas. 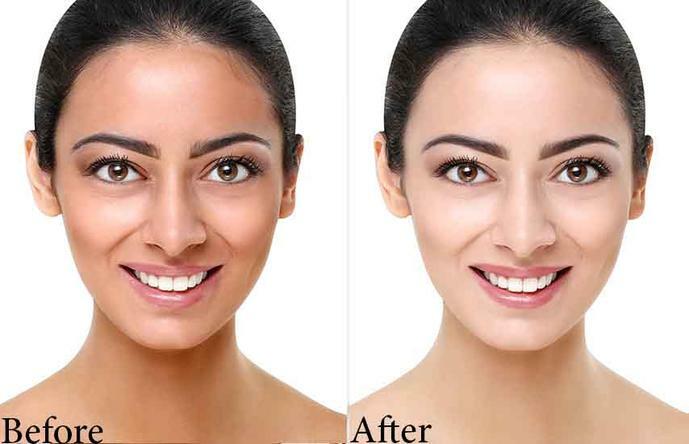 The skin brightening and lightening effect appears naturally over time, and blends in with untreated skin. The Makari Classic Voile de Corps Hand & Body Lotion delivers deep, lasting, healthy hydration to soothe, heal, and protect skin. It restores softness and suppleness to skin, improving elasticity and evening skin tone for a bright, youthful, glowing appearance. It smooths fine lines and wrinkles, hydrates and nourishes to restore softness, and combats dryness and dullness. It has brightening effects that combat the signs of aging. It contains cocoa butter and macadamia oil to deeply moisturize and replenish the skin. Licorice and mulberry root extracts work together to gently lighten skin and promote a more even, clear, radiant skin tone. It is free of harsh hydroquinone, chemicals, and bleaches, so it is gentle enough to use every day, and the formula is also cruelty-free. It helps with acne scars, dull and dark spots, skin discoloration, and uneven skin tone. It is a doctor-recommended product for more youthful, brighter, healthier skin. The Makari Classic Voile de Corps Hand & Body Lotion can be used every day, on the hands and body, to promote healthy, bright, youthful skin. The Makari Extreme Botanical BODY OIL is full of healthy oils and botanical ingredients to smooth uneven skin texture and add brightness for a youthful, glowing complexion. It tightens, softens, and improves skin elasticity. It delivers fast skin lightening, combats dryness and dullness, heals scars, and fades blemishes and discoloration, while fighting the signs of aging. Formulated with vitamin C rich carrot oil to help fight the signs of aging, as well as argan oil that moisturizes and nourishes skin, along with organiclarine, a natural skin lightening substance, this body oil is full of natural omegas 3 and 6 and antioxidants that promote healthy skin and fight free radicals and environmental damage. The formula is cruelty free and contains no hydroquinone, and is safe for all skin types. It can be used to reduce skin dryness, wrinkles, stretch marks, and acne scars. 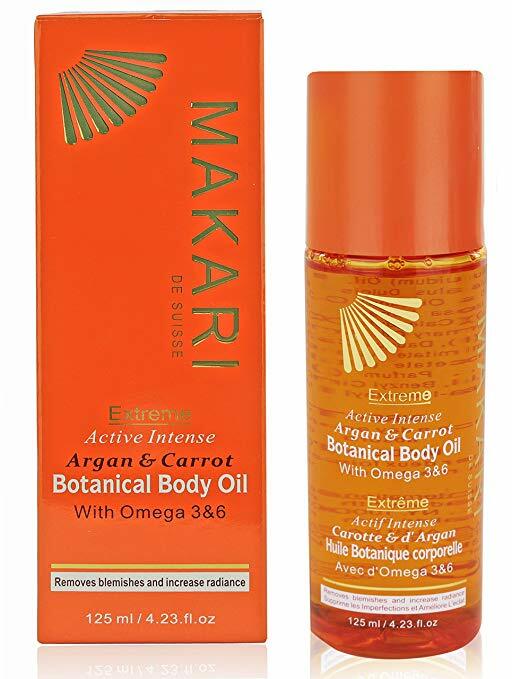 Use the Makari Extreme Botanical BODY OIL once or twice daily by smoothing into freshly washed body skin. It is too heavy to be used on the face. It is most powerful immediately after a shower, when the skin best absorbs the product, creating a satiny smooth finish. You can also add a few drops into a bath to restore and rejuvenate your skin, and can improve your complexion in as little as two weeks. With the Tonique Kojic Acid Soap, you can heal, protect, and lighten skin while you wash. The rich lather buffs away dark circles under the eyes, age spots, and hyperpigmentation. It lightens, brightens, and evens out the skin tone, leaving you with fresh, glowing skin. The bar contains kojic acid, which inhibits the formation of pigments and lightens the skin, along with vitamin E that heals skin and blocks free radicals. Together, the ingredients eliminate acne scars, blemishes, dark spots, and stretch marks, and prevent future breakouts and blemishes. The formula stimulates cell overturn and healing, without painful burning or irritation. The bar provides the moisture needed for healthier and firmer skin. It has a light, floral scent and a pleasant tingling sensation, and is safe for all skin types. 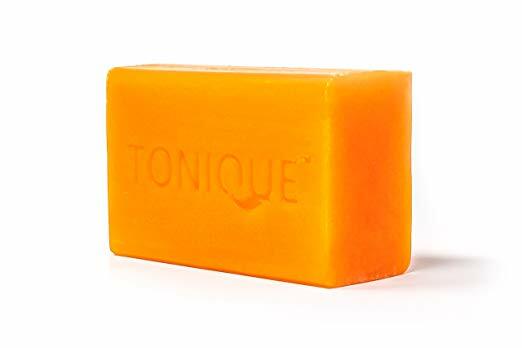 For best results, use the Tonique Kojic Acid Soap to cleanse the skin twice daily: once in the morning, and again at night. Leave the lather on the face for 1-3 minutes, although those with sensitive skin may need to only leave it on for 30-60 seconds. Rinse and pat dry, and always follow with a rich moisturizer. In the daytime, make sure you also protect the skin with a sunscreen. You should see results in as little as 2 weeks. The Tonique Kojic Acid Soap is made in the USA. The Rozge Skin Whitening Cream with 2% Hydroquinone is specially formulated to lighten and brighten skin, and can be used on the face, neck, and body to perfect and even the skin. It reduces the appearance of freckles, scars, age spots, liver spots, and other skin problems. 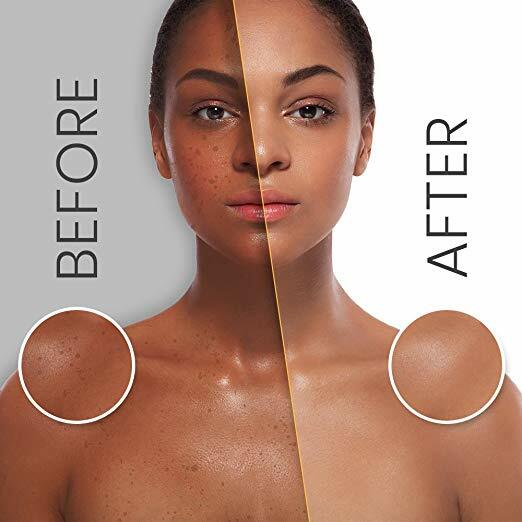 Hydroquinone is FDA approved, and effective in preventing melanin formation. It also contains mineral oils to smooth the skin and prevent irritation, citric acid to promote cell turnover, and mulberry root extract that is rich in vitamin A, potassium, and skin-boosting antioxidants. This skin lightening cream has been clinically tested and proven to be effective at whitening the skin on the face, neck, and body. It is also safe for all skin types. With the Rozge Skin Whitening Cream, you can see lightening and brightening effects within a month of regular use. If you have the time and patience, you can try to create your own skin whitening creams and lotions using easy to find ingredients and even some in your kitchen, our skin whitening guide will help you with finding one that best suits your body and needs. These creams will lighten and brighten the skin, countering the cumulative effects of sun damage, scarring, inflammation, and aging. With these creams, you can treat hyperpigmentation no matter where it is on the body, and no matter what caused it, so you don’t have to live with darkened, damaged, discolored skin.